I have invested many hours of my time scanning in this collection, configuring and setting up this site. While this has been a very enjoyable expierience it has also taken a lot of time to perfect. Since the commencement of this website back in 2012 I have been inundated with feedback, which I have listened to and made changes where possible. IrishCallcards.net has changed greatly over the years since it's inception, what started as a very basic site is now one of the most complete Irish Callcard resources on the internet. I would like to especially that all donors and people who have helped me along the way, by donation of either Callcards or money all of these extremely kind gestures has helped make the site what it is today. While it has been both an exciting and enjoyable project, there are costs associated with running a website. Further to that many hours of my time has gone in to creating, updating and perfecting the website. If you would like to help out either by donation of Callcards or monetary please see the below. 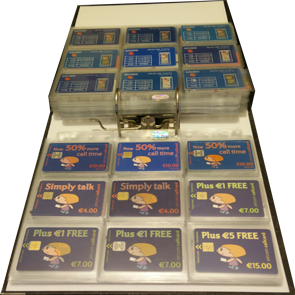 Eircom Simply Talk varieties (mint or used). If you have any of the above Callcards you would like to donate, or other cards please get in touch with me. If you donate a Callcard which is not cataloged on IrishCallcards.net, I will aim to have it listed on the site within 7 days of receipt. After clicking the above button you will be taken to Paypal's secure payments page where you can donate an amount of your choosing. Finally I would like to thank all those who have donated to me, supported me and helped me build my Callcard collection. 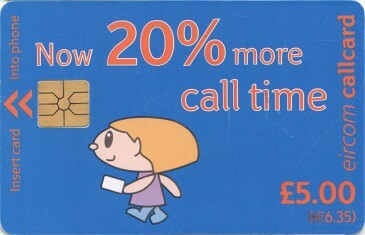 I hope you continue enjoy using the IrishCallcards.net website.